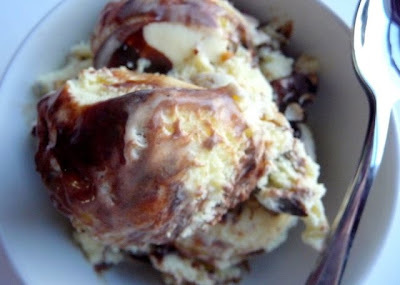 I had exactly 1.5 cups of heavy cream left after making Tiramisu for the Daring Bakers challenge - when looking through my recipes to figure out what to do with it - I went back to an old stand-by ice cream! 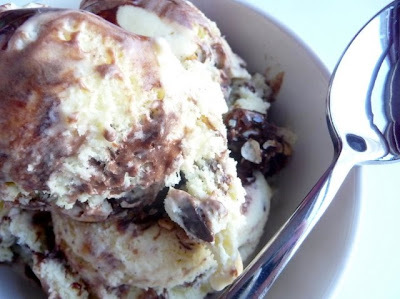 Now, this is not just any ice cream - this is homemade tin roof sundae ice cream - which combines a custard base, chocolate covered peanuts and homemade fudge ripple. It is hands down the - best - ice - cream - E -V -E -R! I've made this a few times before - and the last time - I was out of town - and my husband ate this every night for dinner while I was gone! Enjoy - it won't last long. 1. Warm the milk, sugar, salt and 1/2 cup of the cream in a medium saucepan. With a sharp paring knife, scrape the seeds from the vanilla bean and add them, along with the pod, to the hot milk mixture. 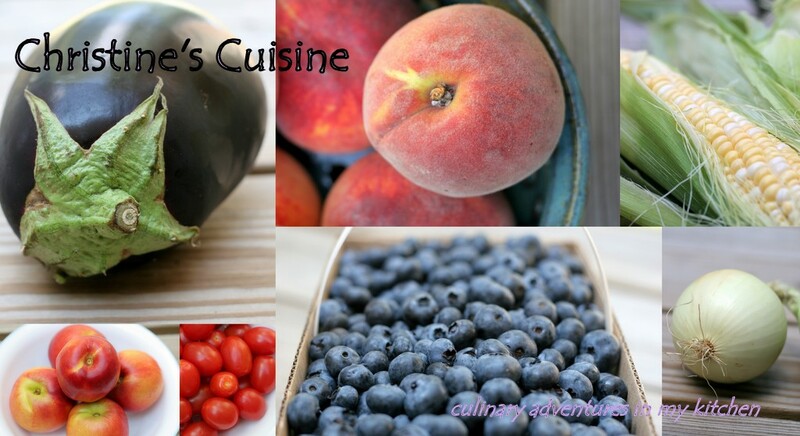 Cover, remove from the heat, and let steep at room temperature for 30 minutes. 2. Rewarm the vanilla-infused mixture. 3. Pour the remaining 1 cup cream into a large bowl and set a mesh strainer on top. 4. In a separate medium bowl, whisk together the egg yolks. Slowly pour the warm mixture into the egg yolks, whisking constantly, then scrape the warmed egg yolks back into the saucepan. 5. Stir the mixture constantly over medium heat with a heatproof spatula, scraping the bottom as you stir, until the mixture thickens and coats the spatula. 6. Pour the custard through the strainer and stir it into the cream to cool. Remove the vanilla bean, wipe it clean of any egg bits, and add it back to the custard. 7. Stir in the vanilla and stir until cool over an ice bath. Chill thoroughly in the refrigerator. 8. Then ready to churn the ice cream, remove the vanilla bean. Freeze the ice cream in your ice cream maker according to the manufacturer’s instructions. 1. Put the pieces of chocolate in an absolutely dry heat proof bowl. Set the bowl over a saucepan of simmering water to melt the chocolate, stirring until smooth. 2. In the meantime, stretch a piece of plastic wrap over a dinner plate. 3. Once the chocolate is melted, remove it from the heat and stir in the peanuts, coating them with the chocolate. Spread the mixture on the plastic-lined plate and chill.